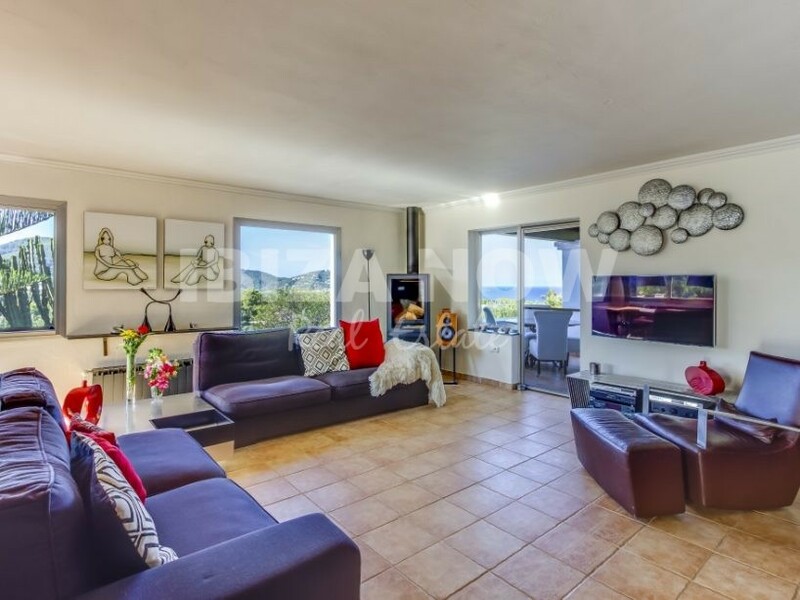 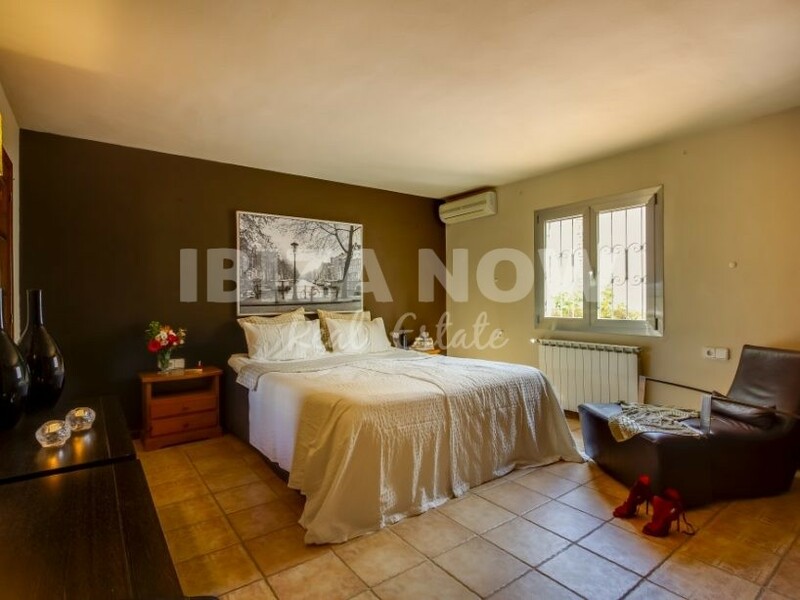 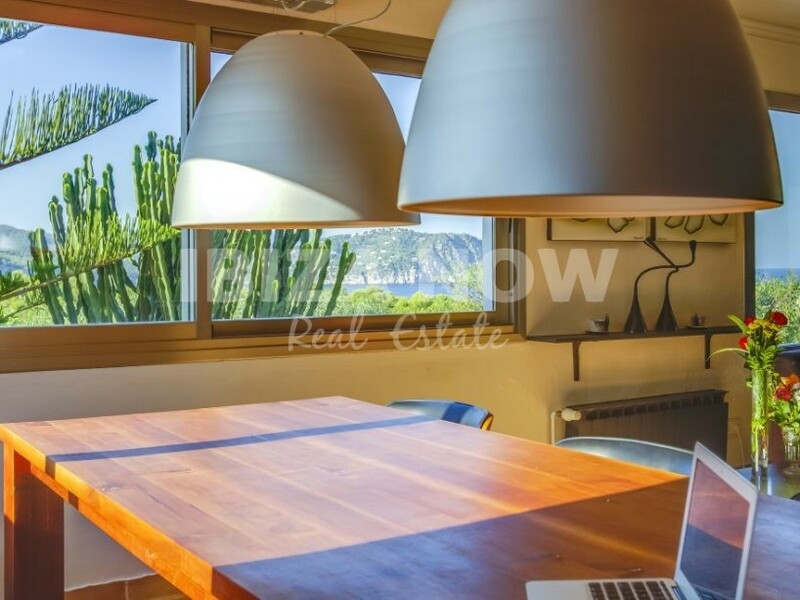 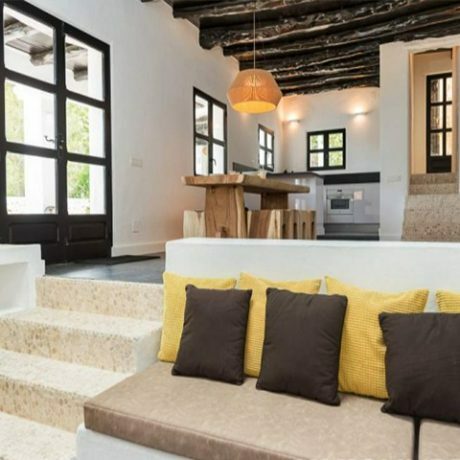 Large family house for sale close to the beach of Es Figueral, Ibiza. 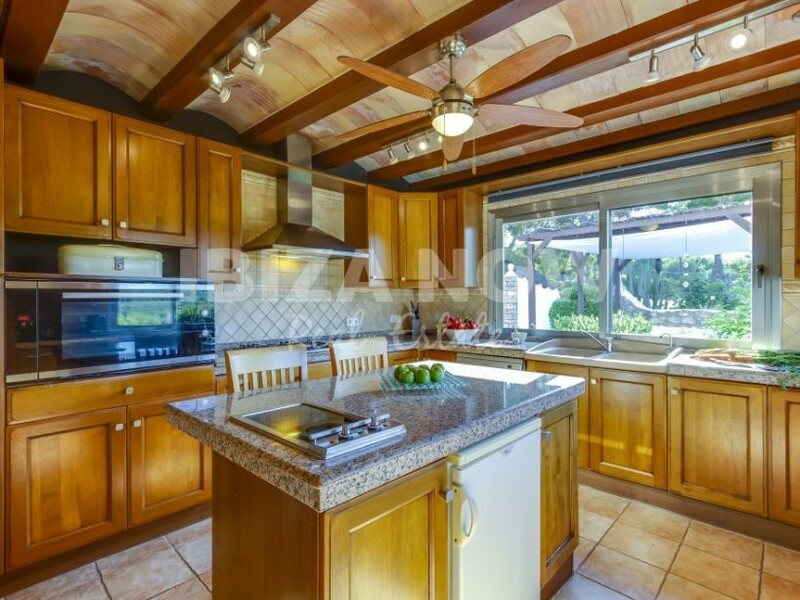 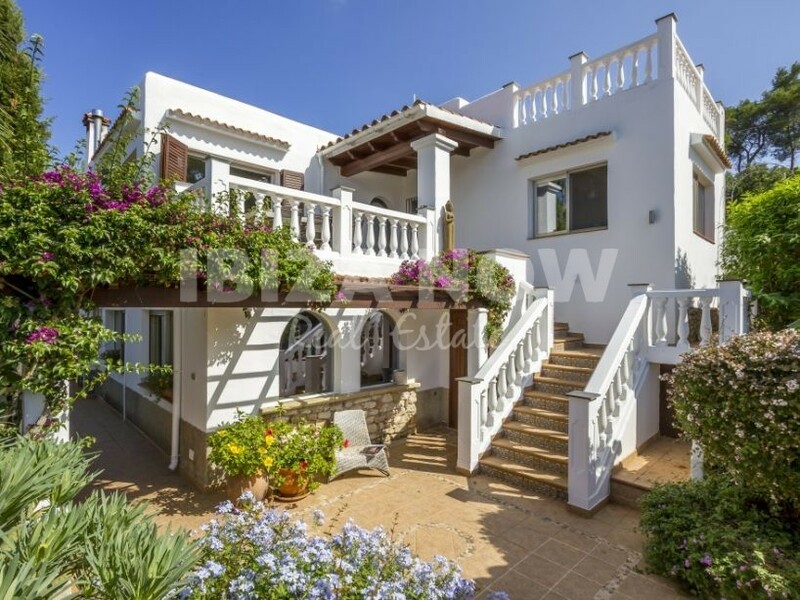 This well maintained large family home is located in a quiet area and very close to the beach of Es Figueral. 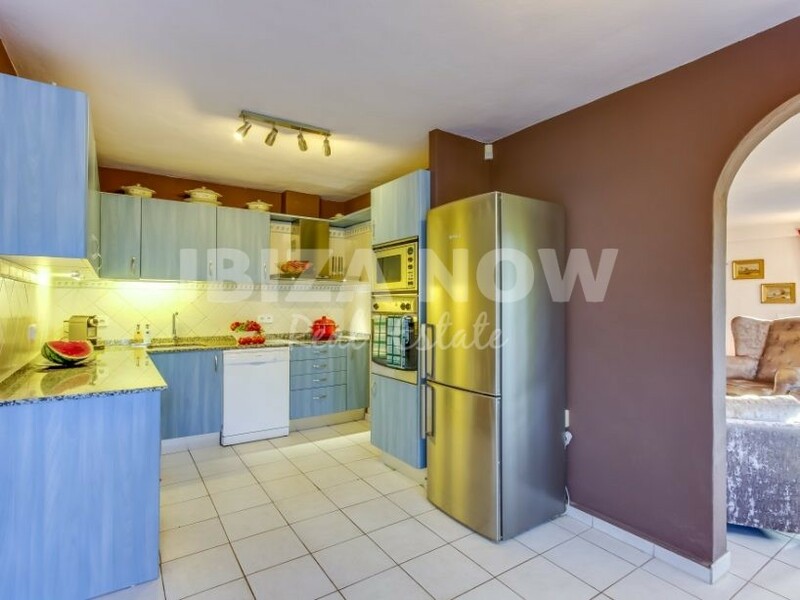 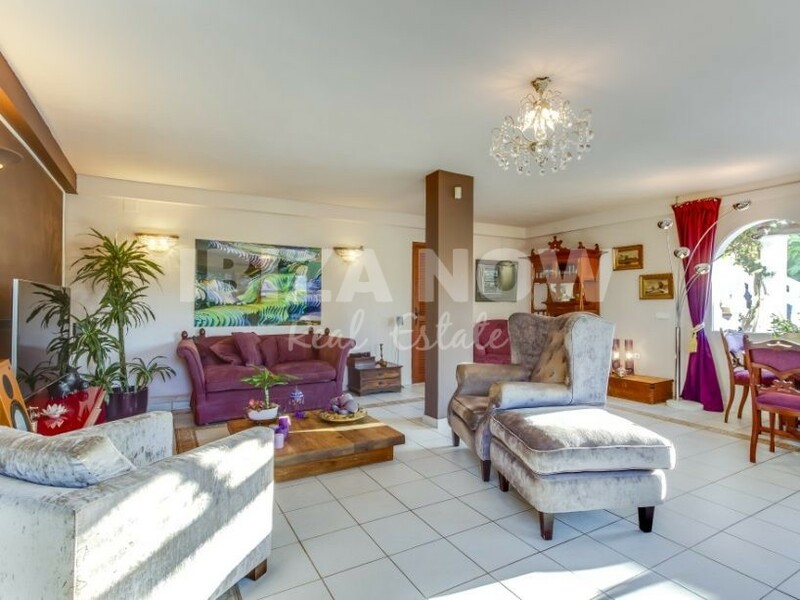 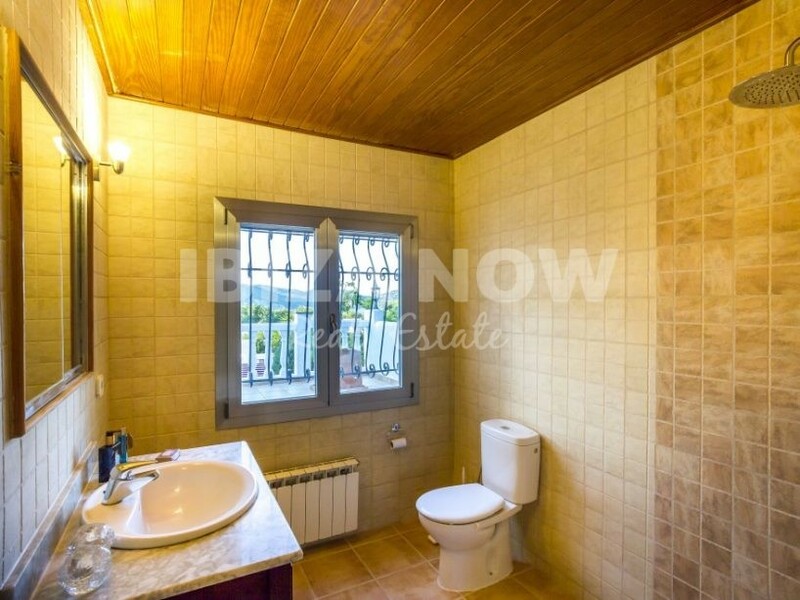 Set on a plot 695m2 and with the house counting 274m2. 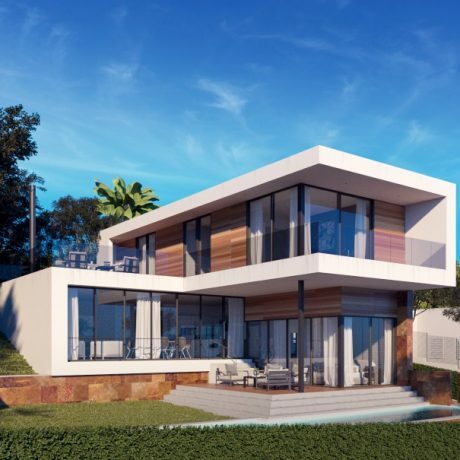 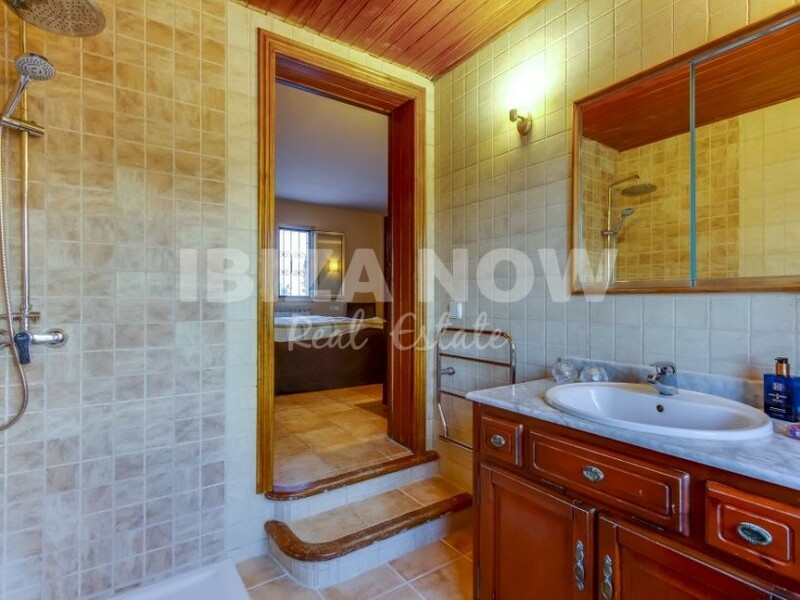 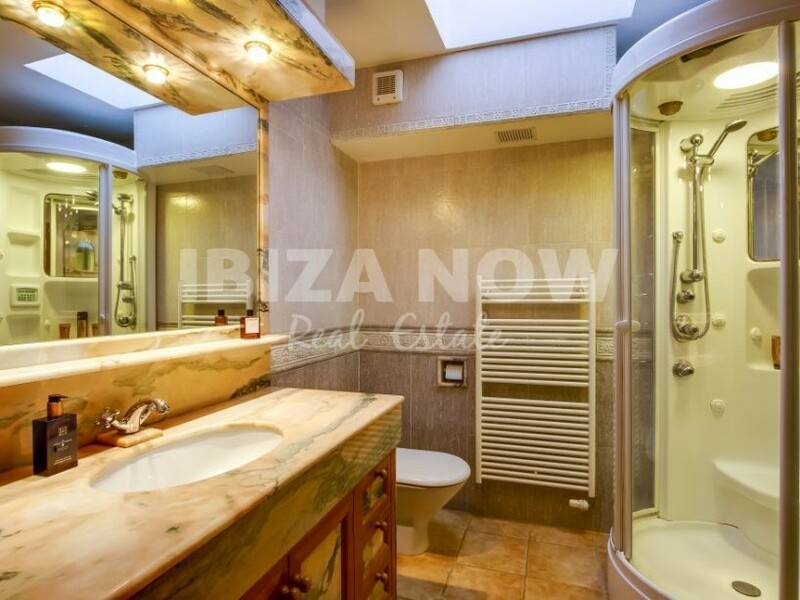 In total there are 7 bedrooms and 5 bathrooms which are distributed over 3 different areas. 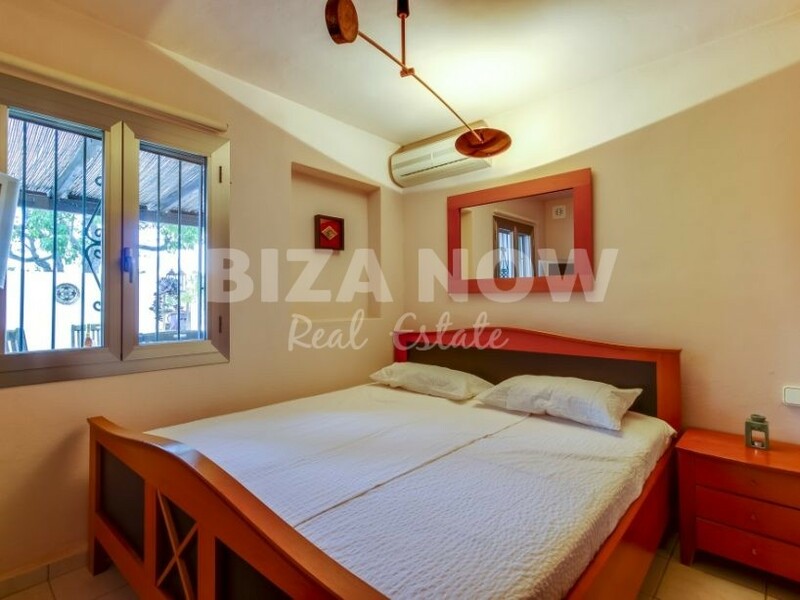 In the main house, there are 4 bedrooms and 2 bathrooms, the annex offers 2 bedrooms and 2 bathrooms and then there is a separate studio apartment. 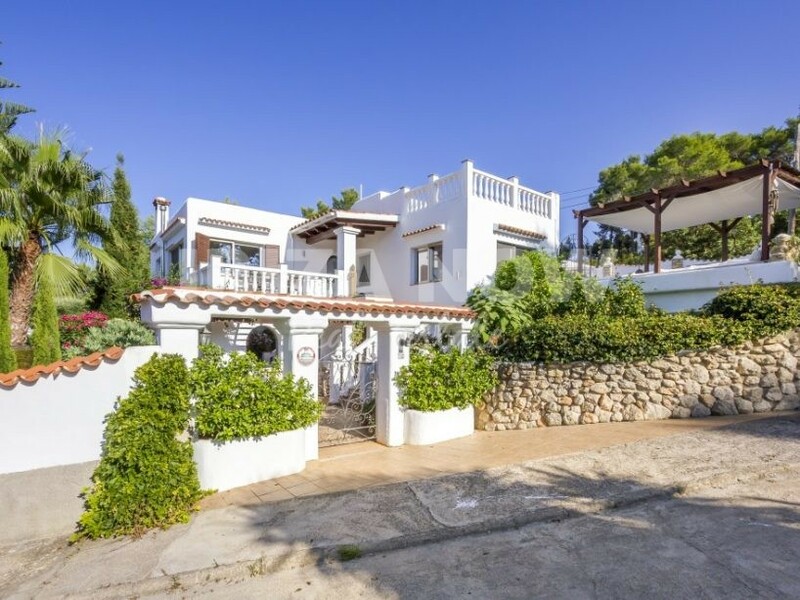 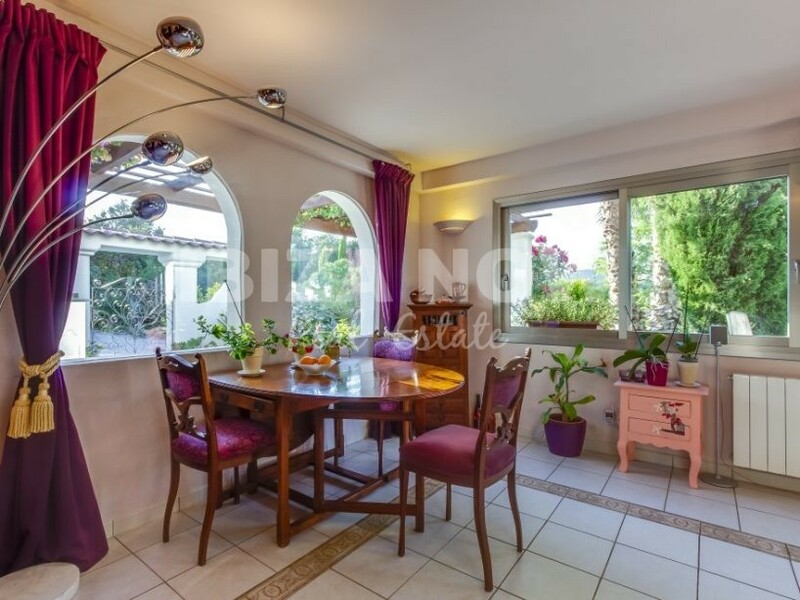 Furthermore, the house offers various covered and open terraces with an amazing country and sea views. 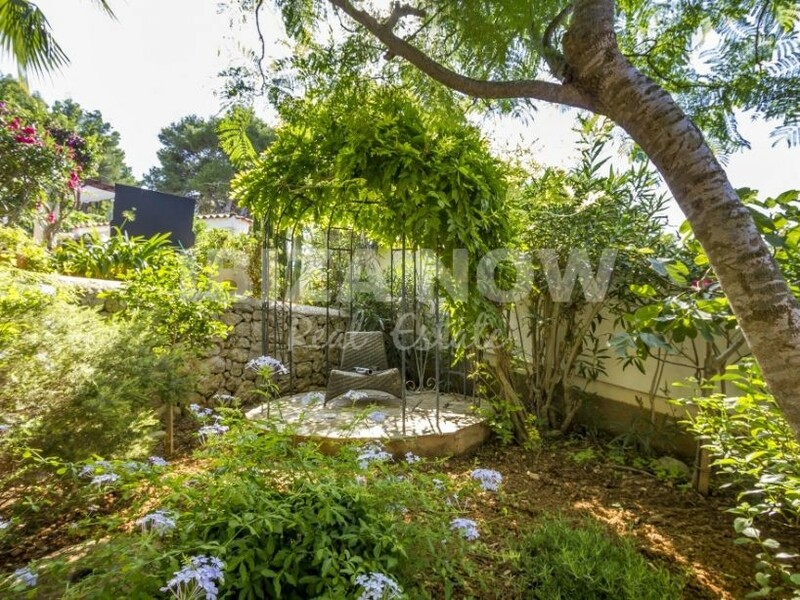 The plot is totally fenced and with lots of privacy. 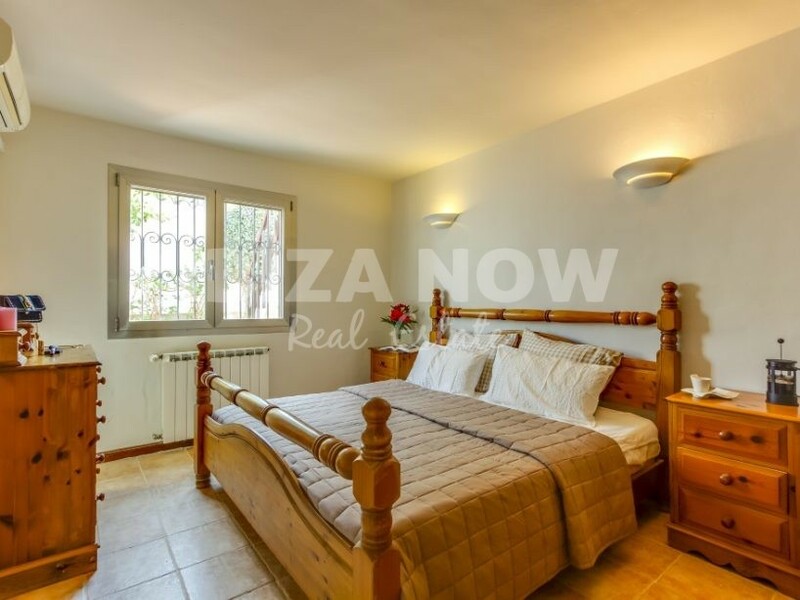 There is double glazing, air conditioning warm & cold, fireplace, alarm and water, and electricity is from the net. 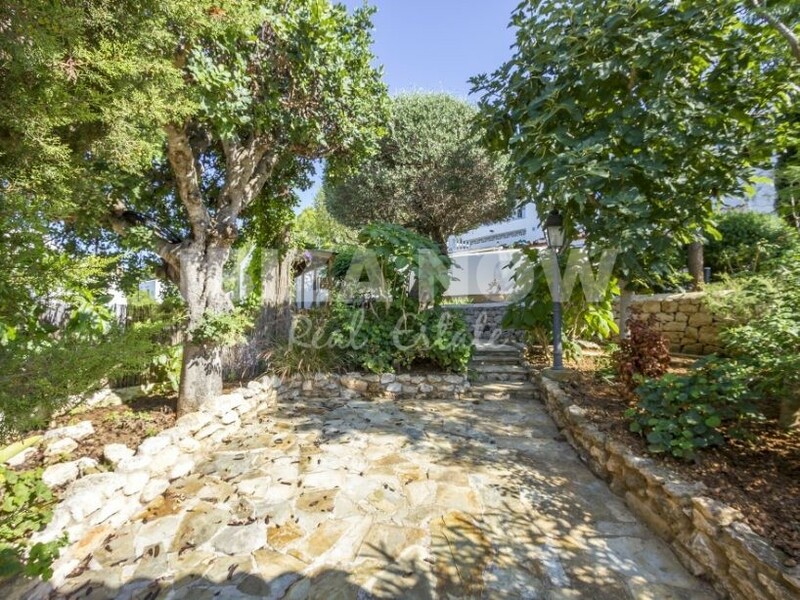 On the plot itself, we find several mature Mediterranean trees like almond and fig trees plus numerous Palm trees. 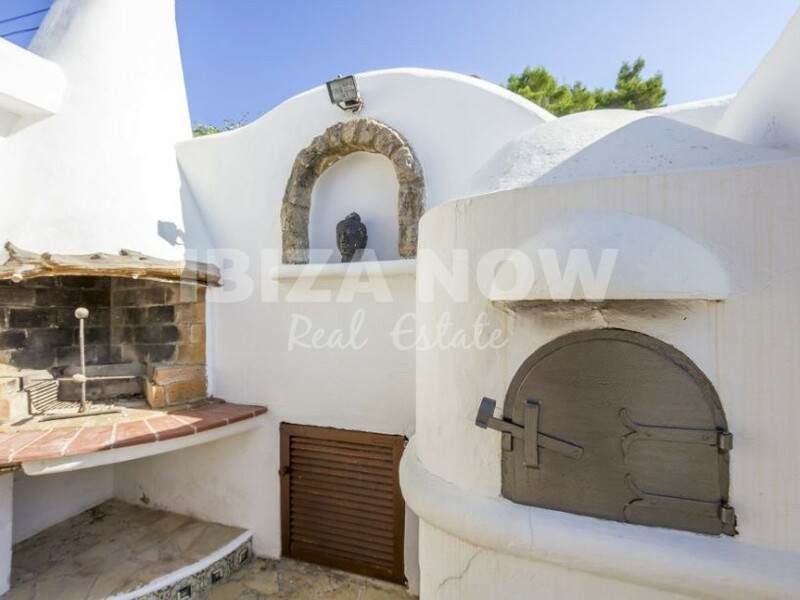 Around the pool area, there is a nice covered lounge area, outdoor shower, toilet, and bbq area and stone bread oven. 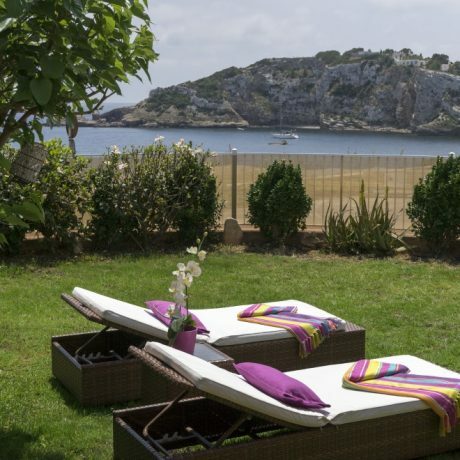 From the roof terrace which is easily accessible, you can enjoy beautiful open views of the countryside and ocean. 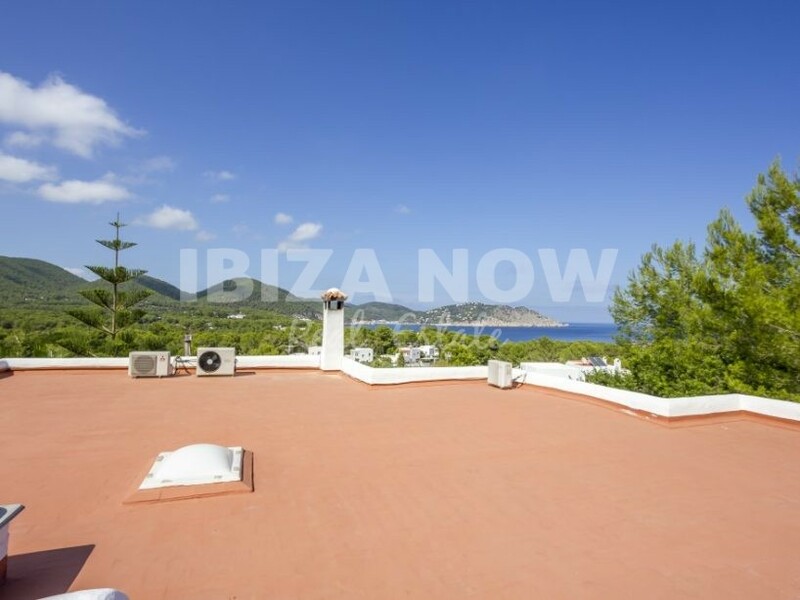 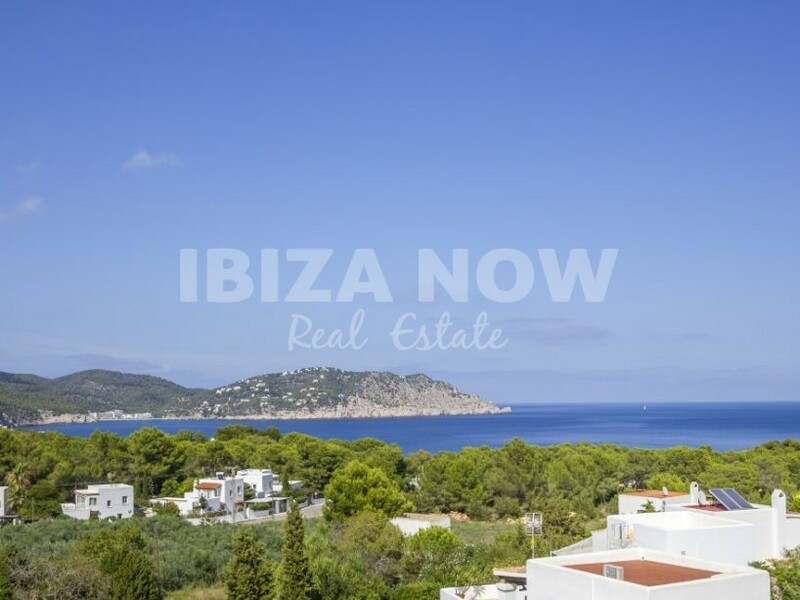 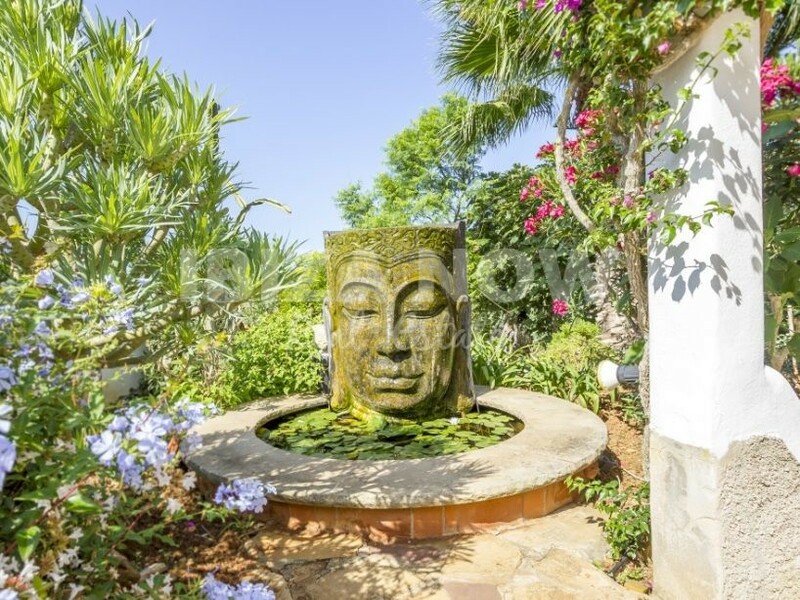 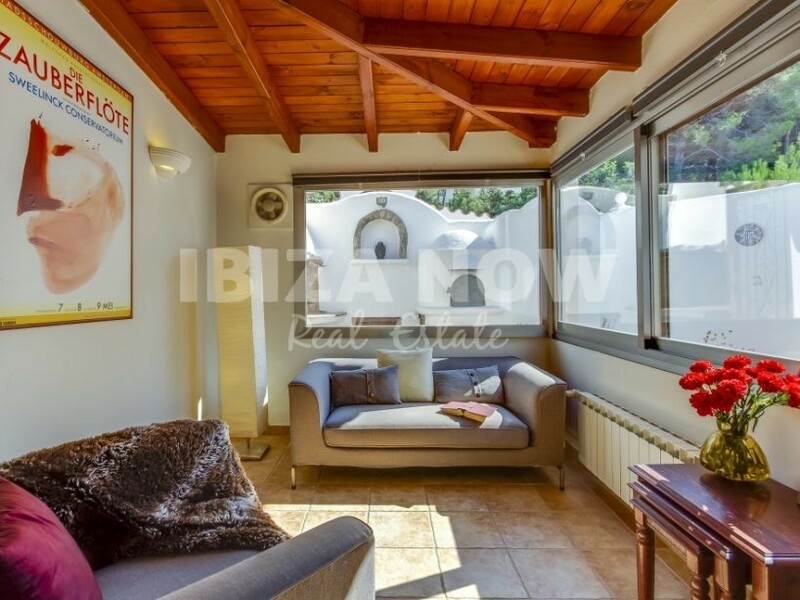 A great house for any family who is looking to enjoy Ibiza to its fullest.